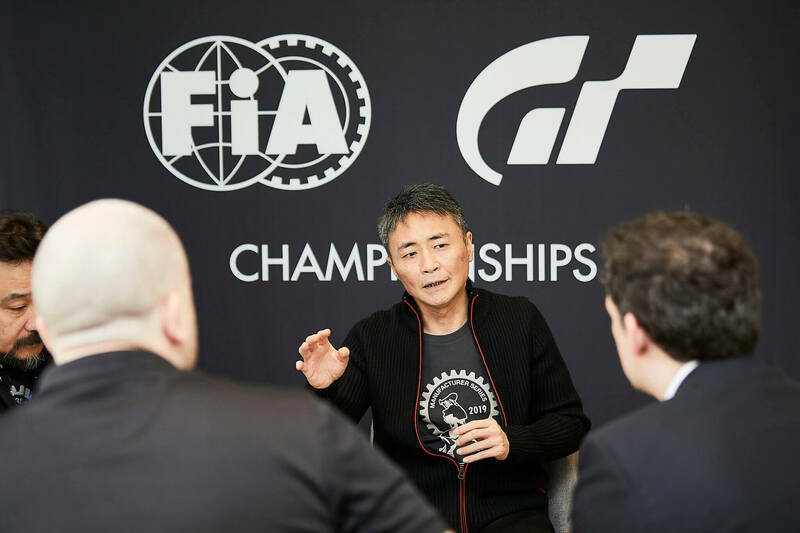 Discussion in 'Gran Turismo Sport' started by GTPNewsWire, Mar 22, 2019. This article was published by Andrew Evans (@Famine) on March 22nd, 2019 in the Gran Turismo Sport category. ALAN ULTIMATE, AlexDB9, xBSxChadSpeed and 29 others like this. Good to know that the support for the game will keep coming and they are not holding anything!, This make more real that GT Sport will be the only GT game for this gen, tough. TheNuvolari, SestoScudo and JoueurGT like this. xxy98cn, Vekta, MisterOne77 and 41 others like this. Kaz with these FREE updates you are really spoiling us. AlexDB9, TheNuvolari, ca18detsilvia and 12 others like this. courageC60, Manasseh257NSX, Interstellar9 and 14 others like this. That is good to hear. The frequency of updates is greatly appreciated. What I will say though is that there needs to be more race cars - Both modern and classic Group C machines. Snaeper, nickf1gr, TheNuvolari and 10 others like this. There are about 280 cars in the game atm, if they release 7 or 8 cars a month the car count will reach 400+ before the end of 2020, seems good to me. Although I wonder if GTS will quickly become obsolete since other next-gen racing games will be released starting next year, and I don't think we'll get to play GT7 anytime soon. I want to see a real Solo Mode ! abrahamx and Beezer215 like this. courageC60, Sharpie, nickf1gr and 6 others like this. Increasing "the capacity of the team", to look after the Daily Races, is a must. I guess just use a spreadsheet for the combos instead of just coming with one on the fly. Maybe? Yes? Even if next week uses the same classes and say, the MX-5 again, at least switch to one of the bigger tracks and increase power and tyre grip or allow suspension tuning. sturk0167, CrimsonKing, AlanH49 and 2 others like this. As said somewhzrz else GTSport is completely GAAS. This game will be build upon and build upon. PS5 launch/upgrade title, free upgradable (or cheap) for current GTS holders and further evolving over time. GT Sport is there to stay and we won't see GT7 or Sport 2. That's what I think after reading the interview . VincentVendetta, AlanH49, scodubs and 1 other person like this. LOL. How long does it take for a TEAM to come up with interesting race combos? Such an insignificant task, but he makes it sound like it's actual work. golfer07840, sturk0167, sangdude82 and 3 others like this. That's only possible with an ongoing or recurring fee. Something has to pay for it. I noticed something the other day that might shed light on this. If you set the output to 1080p and then set the 2K mode to optimize for frame rate, you get some nice screen effects that are not present in 4k. For instance, there is speed blur on the edges of the screen. I may be that the rain effects work fine in 1080p when adjusted for best frame rate, but there's something that messes it up when you adjust for quality. To be fair, the quality didn't seem to be much worse aside from some obvious aliasing on the pixels. GTracer25 and AgentBlackDog like this. I'm paying the recurring fee of PS Plus, and GT Sport is the only game I play. But you're right. I can see it becoming a service with its own recurring fee, or maybe more aggressive micro-transactions. They need to be careful about how to implement it though because I, for one, wouldn't like to pay two monthly fees for GTS. That recurring fee you pay for PS Plus supports PS Plus, not GTS. It doesn't matter what game you prefer to play. PS Plus doesn't fund any of them. It would be the same for playing any of the FPS games. mef, Scaff, VXR and 1 other person like this. A proper GT as a launch PS5 game with lots of cars, tunning and career mode would be a huge success for sure. GTSport is the perfect opportunity for Poly to gain time and build a great car/track list. I created a poll some time ago regarding how much players were willing to pay if content updates were to be charged. The majority said they'd pay nothing so I guess... mission accomplished . PS Plus is the fee I pay for maintaining GTS online services. And in this case, the game is owned by Sony, so it's all connected. I don't know if there're games with their own recurring fees that also require PS Plus, but it doesn't seem like a good business model for me. If they want to create a game as service, it should be offered out of the PS Plus scope. I'd gladly pay an annual fee for GTS only and I like the idea of infinite monthly updates. Currently, whenever there is a content update on GTS, I'm there to check it out and play with the new toys. Even as new games come in, I'm always going back and touching base with Sport just to see what's new. I can't speak for fans of other titles, but most of the other car games I play dump the bulk of their content at the front and people get bored of it after several months and then incoming content is behind a paywall where each DLC release has diminishing returns until the title dies out and then the Developer hordes a bunch of new content for the next retail release. I honestly believe, that if it wasn't for these modest monthly free content updates that GTS would have died off a long time ago. Not because the initial content was so sparse (it definitely was) but because we're continually being drip fed new content at a constant rate. PD's initial efforts were definitely clumsy but they've steadily become a model of how to make a race game as a service. White Mamba, DrifterJoe, FoRiZon and 7 others like this. Are you suggesting they could upgrade GTS and call it a PS5 launch title? F1 GTR is a strange car in Gr.3 class, but it's a good way to make this car drivable (Finally, same feeling with group C cars in Gr.1). Yep. This time, I think the cars look ready for next gen. Tracks? They need to improve some tracks like Sainte-Croix (so empty...) but they all look really good and they can use the extra power for better vegetation, more trackside objects and obviously rain and dynamic TOD. We will probably never see weather conditions on PS4, so there is no point in another GT this gen.
GT6 updates: community features like clubs, Sierra time rally mode, custom gauges. Good to hear. It keeps me coming back to the game. These additional car/track updates give it some replay value. TheNuvolari, AlanH49, Timlour and 2 others like this. PlayStation Plus is a subscription service for the PlayStation Network, and it's required if you want to play PS4 games online, regardless of the game (except in the case of some F2P games, like Fortnight). Basically, if you've purchased any PS4 game and it has multiplayer, you will need to subscribe to PS Plus to access that feature. GT Sport is a PS4 game that has online multiplayer, therefore you need PS Plus for online gaming. And that's the only relationship between the two. mef, Scaff, White Mamba and 5 others like this. Does that mean it may take forever to get Spa? But it will come eventually. courageC60, TheNuvolari, White Mamba and 5 others like this.